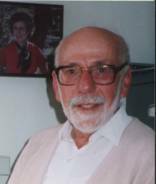 William (Bill) Silverman (1924-2004) was one of the founders of American neonatal medicine. He was honoured repeatedly as one of the pioneers in his specialty; however, he often evoked somewhat contradictory responses amongst his colleagues because he was in the habit of raising troubling questions about the scientific basis and ethics of his and their practices. Like many of the people who have helped establish The Cochrane Collaboration, Bill Silverman could be regarded as a 'troublemaker'. As he reiterated frequently, however, criticism is a form of troublemaking that can help drive progress. Furthermore, criticism should not be limited to examining the work of others, but should also include self-criticism. The Bill Silverman Prize acknowledges explicitly the value of criticism of The Cochrane Collaboration, with a view to helping improve its work, and thus achieve its aim of helping people make well-informed decisions about health care by providing the best possible evidence on the effects of healthcare interventions. The establishment of the Prize was approved by The Cochrane Collaboration Steering Group in 2007 and awarded for the first time in early 2008. The Prize is offered annually, and the authors of a piece of research published or presented in the 12 months preceding the call for nominations are eligible for nomination. The Cochrane Operations Unit issues the call for nominations via The Cochrane Collaboration’s mailing lists and CCInfo in the first week of April each year. Nominations can be made by anyone, including the authors of the publication or presentation being nominated. Nominations should be sent to the Cochrane Operations Unit (cou@cochrane.org) with the name of the Award or Prize in the subject heading. has had, or is likely to have, a positive impact on the scientific quality, relevance and use of Cochrane Reviews. The Prize comprises a certificate and US $1000 to the corresponding author of the selected publication or presentation. The Prize Committee comprises five members, at least three of whom do not have an active role within any Cochrane entity. Members of the Committee for 2013 are David Moher (internal Co-Chair), Bill Summerskill (external Co-Chair), David Atkins and Sarah Donegan. 2012 – Nasser M, Welch V, Tugwell P, Ueffing E, Doyle J, Waters E. Ensuring relevance for Cochrane Reviews: evaluating processes and methods for prioritising topics for Cochrane Reviews. Journal of Clinical Epidemiology, Jan 2012, available online 19 April 2012. 2011 - Donegan S, Williamson P, Gamble C, Tudur-Smith C. Indirect comparisons: a review of reporting and methodological quality. PLoS ONE 2010 5(11):e11054, doi:10.1371/journal.pone.0011054. 2010 - Alex Ford et al. Errors in the conduct of systematic reviews of pharmacological interventions for irritable bowel syndrome. Am J Gastroenterol 2010;105:208-288;doi:10.1038/ajg.2009.658; published online 17 November 2009. 2009 - David Moher et al. Epidemiology and reporting characteristics of systematic reviews. PLoS Medicine 4(3):e78.doi:10.1371/journal.pmed.0040078. 2008 - Katharina Biester et al. High dropout rates in trials included in Cochrane reviews. Oral presentation at the 14th Cochrane Colloquium, Dublin, Ireland, October 2006.